Who doesn’t love a pool? Cool and refreshing in the warm weather months, pools are a natural focal point and gathering place for your family and friends. 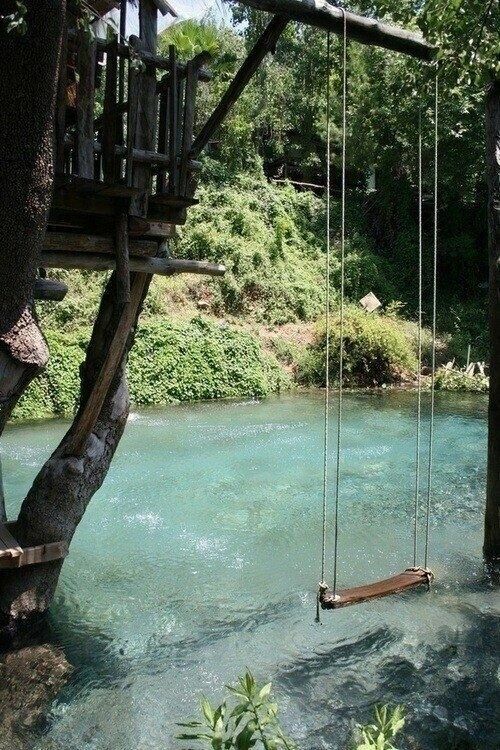 But wonderful as they are to lounge and play in, pools are not always aesthetically pleasing to the eye. A concrete slab with a hole in it can be as uncomfortable to look at as it is to walk on with bare feet. 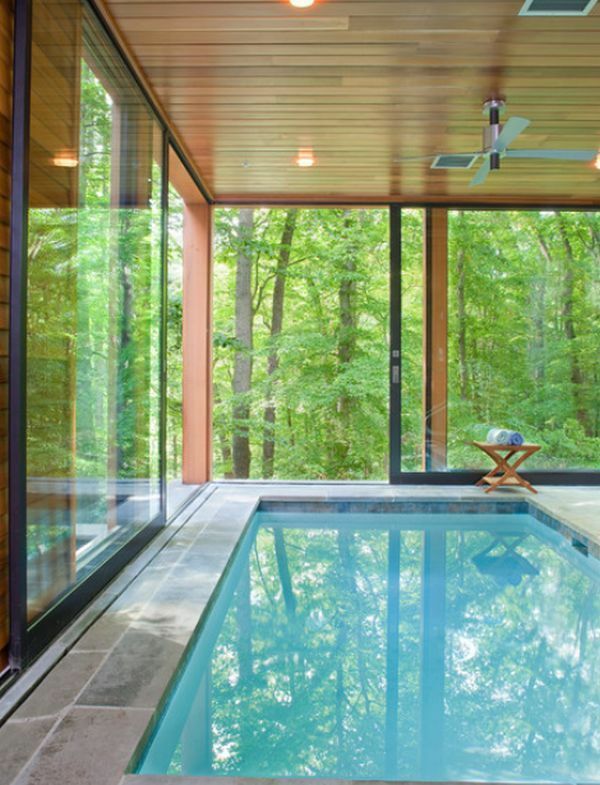 You don’t have to trade landscape design for having a pool. There are many ways to integrate a pool into your yard that enhances its beauty and makes your pool a feature to be enjoyed from out as well as from in. Don’t want a traditional or kidney pool? 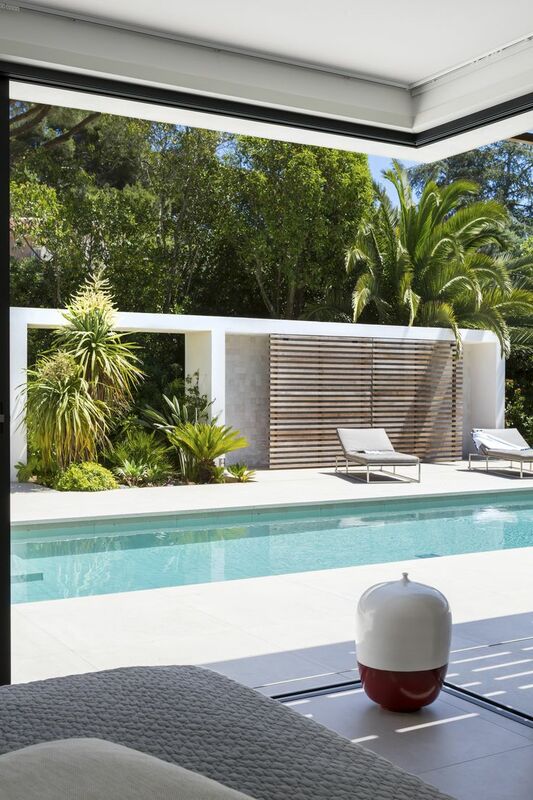 How about a pool designed as an architectural element, like an extension to your home? 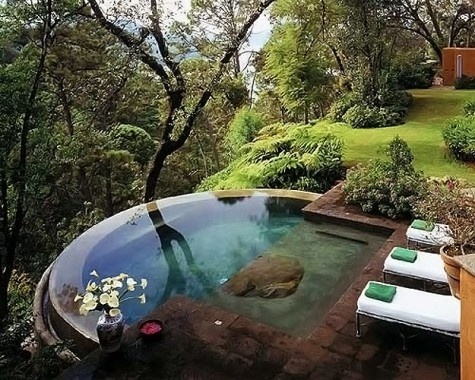 Or a pool that incorporates plant life as landscaping, to soften edges, or to reflect in its waters. And pools don’t have to only be in the back yard – pools can be inside, or at the edge of a property, or they can be just a step down from inside the house. 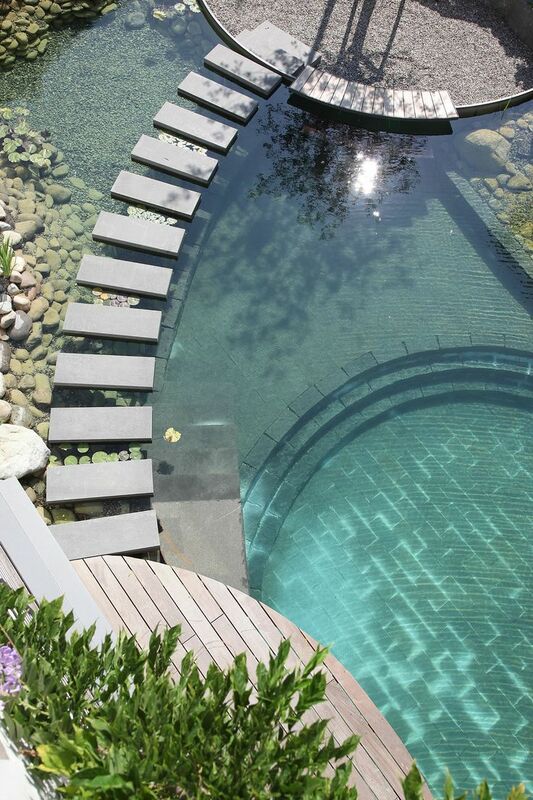 Pools can be as formal or informal as you’d like. Rectangular lines and formal architectural elements create a modern, clean feel. Curved lines and lots of foliage create the feel of a pond, but with less mess. What goes around your pool can be as important as the pool itself. Concrete pads are hot and dull. How about wood decking? It’s beautiful, durable and cool on the feet. Or pavers, or even grass? 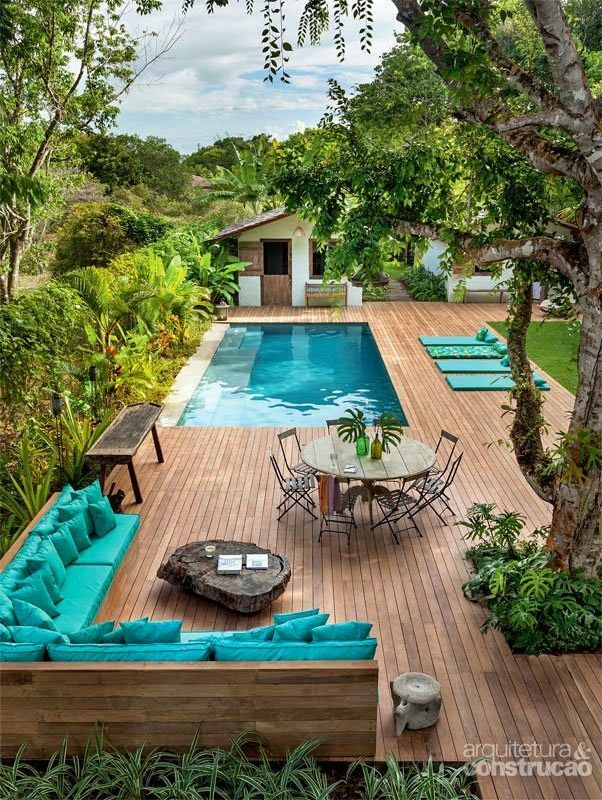 Add outdoor furniture that enhances the style of your pool area – like classic striped pool chairs, or built in benches on a wooden deck. Think that your yard is too small? 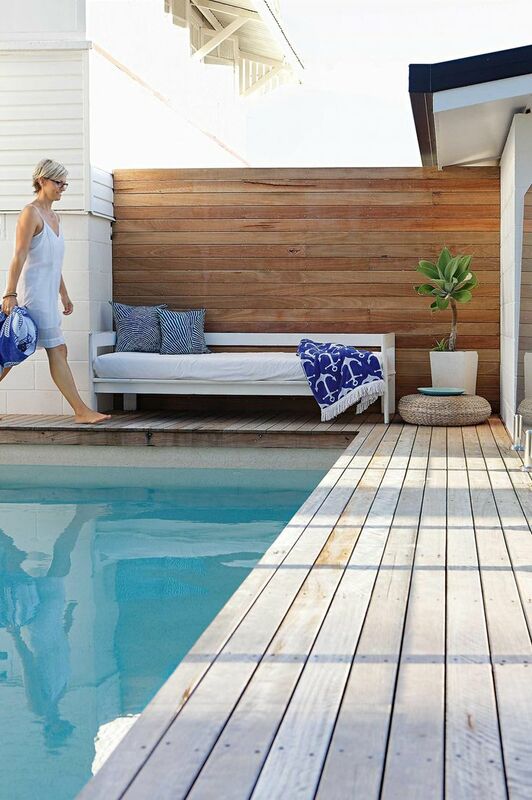 Well there are many ways to incorporate a pool and deck into even a small yard – and you’ll be surprised at how big your space will feel! Landscape with plants, stepping stones and even fountains. 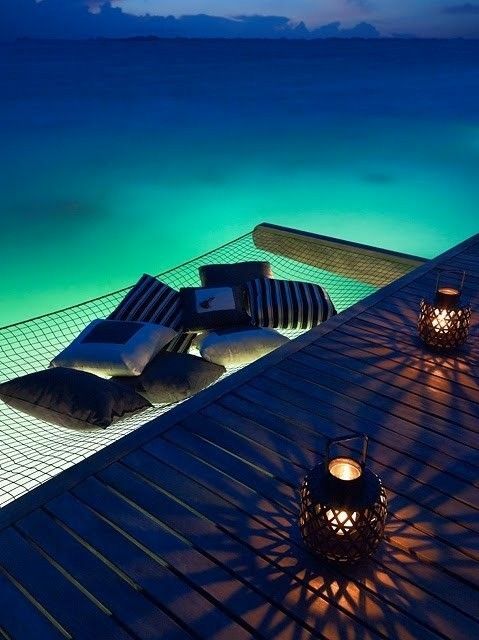 And don’t forget lighting – for night time swimming, or for enjoying your pool after dark. 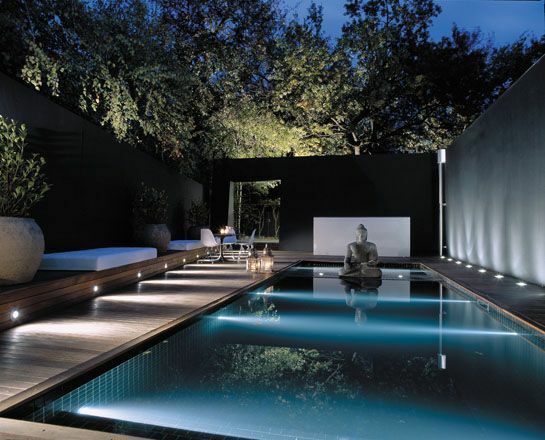 Whatever size or style your house and yard, there is a pool that will make it even better.